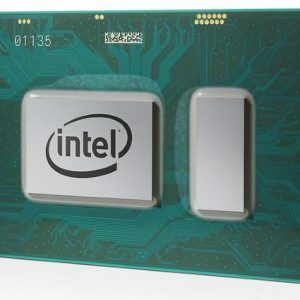 While the older AMD laptop processors generally lag behind their Intel-branded counterparts, the newer ones from the AMD Ryzen series have managed to get close or even surpass Intel chips in some aspects. The AMD Ryzen 5 2500U mid-range quad-core notebook CPU is no exception. Performance of the main processing part of the Ryzen 5 2500U is in line with corresponding Intel CPU – the 8th Generation Core i5-8250U. These chips can easily handle all daily home and office tasks. They also offer good potential for demanding duties like video editing, but if you do that as your main job then its worth investing in Intel’s top tier (but also power hungry) six-core processors, like the Core i7-8750H / i7-8850H. Where Ryzen 5 2500U has a great advantage over the i5-8250U is the graphics processing department. In gaming benchmarks, its Radeon Vega 8 integrated graphics has noticeably higher score than the Intel UHD 620 of the 8th Gen Core processor series. The difference is also very visible during real world gaming. For instance, while you can play GTA 5 on the Intel UHD at around 30fps on lowest settings and 720p resolution, on the Ryzen you can bump up detail settings to mid-to-high with frame rates mostly around 30 fps or more. You can take a look at our Ryzen 5 2500U gameplay playlist with videos provided by YouTube community members. 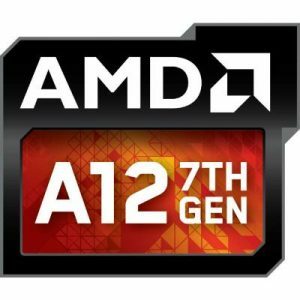 Besides the 5 2500U AMD also offers a Ryzen 7 2700U quad-core model with slightly faster clock speeds and further improved Vega 10 integrated graphics. On the lower-end of the lineup, there are the Ryzen 3 2200U and 3 2300U. These aren’t as fast as the Ryzen 5 and 7, because of their dual-core design and slower Vega 3 and Vega 6 integrated graphics. Do you know how would the performance be if you use it to edit/render video, specificaly in Adobe Premiere. I come from an i7 8GB Intel 3000 HD graphics. I could see an improvement? Thank you! 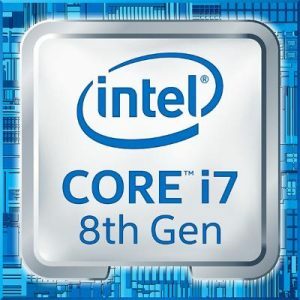 Hi, do you know exact model name of your i7 CPU? It should be some model from the i7-2xxx series, because of the HD 3000 graphics. Whichever i7-2xxx model you have, they aren’t much slower in CPU benchmarks than the Ryzen 5 2500U, although these i7 chips are 7 years old. On the negative side, they consume much more power than the Ryzen, 35 -55 Watts versus Ryzen’s 15 W and run hotter. Also, the Ryzen 5 has much better integrated graphics, so if your Premiere version utilizes graphics acceleration, you’ll see some benefits. I can’t tell you exactly what parts of the program will run faster due to better graphics, since I’m not a Premiere user. Ryzen 5 2500u with vega 8 iGPU is the best thing ever. comparable to 940m. I wonder if AMD will come up with updated version this 2018 with 3500u packed with Vega 11. Now if they could make it energy efficient. Ryzen with vega on laptops tend to drain battery very quick. I agree & am experiencing similar issue with my Ryzen 5. Fully charged battery drains to 70% in just 30 min. Is there any fix for this.